Ready for winter? We are! Join us in celebrating the season with Todo Math’s winter update, available now on iTunes and Google Play. 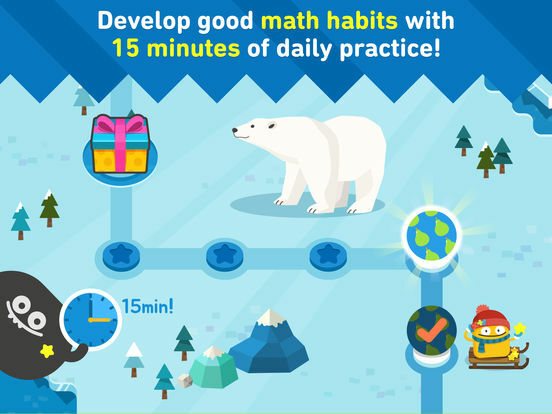 Solve daily math adventures in falling snow among igloos, polar bears and gingerbread houses. Our free download includes a basic version of every game in Todo Math. If you play it and like it, upgrade to the full version for continuous access to the complete curriculum. We’d love to have you on board this winter. Don’t forget to leave a review, or send feedback to support@todomath.com. Enjoy!